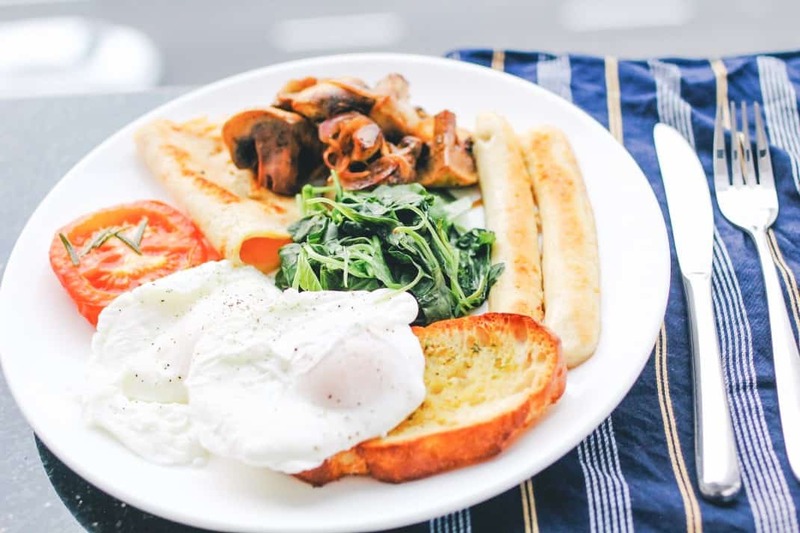 Where is the best breakfast in Rome? To be honest there are too many choices in this beautiful center of Italy. Maybe you want to have a classic Roman breakfast with cornetto and capuccino. On the other side you might be looking for a full set savory breakfast with scrambled eggs and orange juice. Well- here we have them all. Here’s the list for 11 best place for breakfast in Rome. You have a long plan to do many sightseeings in the town and you want to have good energy. The key to that is to have a nice and decent breakfast. Romans prefer rather a fast but yummy one with a sweets and good coffee. They will order a cornetto – a cone shape pastry which can be filled with cream or jam. And of course a coffee which can be capuccino or macchiato. Since Rome is a very popular destination among travelers there are also spots considering their breakfast choices. Either you want a small simple one or a luxurious porcelain served breakfast, you can find your favorite here. Buon appetito! Coromandel is located in Pantheon area of central Rome, not so far away from Chiesa Nuova. The atmosphere is so home like yet quite eclectic with the couches, chairs, dark wooden doors and vintage plates hanging on the wall. In their breakfast menu, they have pancakes, bacon, omelette, brioche and sandwiches. The place is also kid-friendly so it might be a perfect spot for a family breakfast in Rome. Egg Benedict with salmon ?#rome #italy?? Necci is a little cafe hidden under some trees and creating a beautiful ambiance in the neighborhood. It is a very famous place all over Rome and known by tourists. The reason is famous director Pier Paolo Pasolini loved here so much that he filmed some of his movies here. For a Roman breakfast you can have their cappuccino and cornetto from the counter and enjoy the morning breeze in the garden. Until lunch, they do not have table service so make sure you order from the counter inside. Novecento Tredici is a pastry and a coffee shop very near to Vatican Museums. They do offer an extensive selection of small size pastries along with traditional ones. It’s a very busy spot in the morning especially for take-away. Romans have a sweet tooth in the breakfast time. As a result, you will see locals buying cornetti or filled brioche from here. But don’t worry they also have savory options like pizzette or sandwich. After breakfast you can also try their gelato. Mondi is situated in the north part of the city near to Ponte Milvio in Tevere River. The place is known for sweets and ice cream. You can get the Roman favorite cornetto here filled with many different ingredients. Get a stack of desserts and a coffee; enjoy your breakfast in the most Roman way. It’s super Roman-ish place and taste of the sweet breakfast is definitely memorable. Roscioli is well known place in Rome. They’re even in our best pasta carbonara list! The truth is Roscioli actually started as a bakery in 1972. Their specialties are breads, pizza, focaccia and traditional sweets like panettone. If you are craving for a morning pizza it’s the perfect place. The only thing is it’s a take-away place since the seating area is very limited. However there are many piazza around of the bakery so you can buy and eat wherever you want. Roscioli’s, you made all my pizza dreams come true. || Rome, Italy • • • I came to our Italy trip with only one, very simple, requirement: Eat Pizza in Naples. I mean, I LOVE pizza. Like really love. So it made logical sense to eat pizza, my favorite food, in the very place it was created. And then Marcella, the driver we hired to drive us to eat said pizza, happened. And through a series of unfortunate events we did not make it to eat pizza in Naples before our train left for Rome. And I was sad, like the kind of sad that may have resulted in a few tears being shed over not eating pizza in its birthplace. • • • And then, we did what you have to do while traveling and rolled with the punches. We quickly found a new spot and my favorite pizza of our tour of Italy. And this place picked a girl up when she was down ? Thank goodness for @bestpizza33 and his recommendations. And the guy in the second picture for introducing me to cold Roman pizza and not judging me when I went back for seconds. ??? Another beautiful find in Monti is La Casetta. The café is located in downstairs of a two floor private house which is completely covered in ivy. It’s hard to see a sign outside but when you see the house you’ll understand where you are. It’s a small and artistic place with a friendly staff. For breakfast they have omelette, panino, quiche, pancakes and Roman tastes like cornetto, bomba or crostata. It’s a very cozy place to spend a nice breakfast. They are actually a coffeehouse so no surprises for a great coffee as well. Прикупили собі нерухомості? @yuriyuch ? Well, Babington’s had to be on this list. It’s a 125 years old English tea house right in the middle of the crowded touristic area in Piazza di Spagna – the famous Spanish Steps. It’s such an iconic place for Rome that it would be very heartbreaking not to visit here once. Not mentioning its tea selection – which is huge -, they are open from 10 AM for breakfast with a variety of menu items. Such as omelets, classic sandwiches, scones, sweet and savory biscuits , toasts are only a part of those. The service is super high quality and you will feel the hospitality right away when you step in. Tazza D’Oro is a quite well-appreciated coffee house situated right behind Pantheon. So it’s one of the favorite stops for travelers. Another spot for a classic Roman breakfast would be here. The service is fast and the staff is experienced. After all it was the first coffee bar in central Rome! You can grab typical sweets with your coffee. Their specialty here is granita di caffé which is a icy version of coffee blended with heavy cream and ice. Maybe you are a bit in a desire to eat savory stuff in the breakfast instead of pastries. That’s great because there is a nice spot! Eggs is a small bistro focused on one main ingredient: Egg. The menu is all about eggs and it is beyond imagination. They have an interesting menu starting with a section called “How to Behave in Front of An Egg”. You can try their own style of Eggs Benedict or scrambled eggs here. Interestingly they have an egg tasting menu – 6 different flavors in the shells in an egg carton which might be the most interesting egg dish you can eat at breakfast. This traditional bakery is located right next to Fontana Trevi as its name says. On Via Delle Murette, you will see on the wall the biggest sign writing forno in capitals. It means bakery in Italian. Although it is in a very touristic area it is still has the best sandwiches and service. The bakery is also known for its deli. So the sandwiches are the best combinations to try their two specialty areas. A great option for a take-away while wandering around Trevi Fountain. Your dream panino is right next to Museo Nazionale Romano on top of Piazza Navona. This place has the freshest breads with a good crisp and fillings. For a very moderate price you can get one of best panino – Italian sandwich for your breakfast. Panino is made to order so no pre-mades here which assures the freshness. Each panino has a very creative name like Back to the Future or Full Metal Jacket. The range of prices change between 4-7€ which is perfect for a budget friendly breakfast.